Come summer or winter, the outdoor area of any Melbourne home is a hub of entertainment, a place for relaxation, and a chance to landscape your dream backyard. 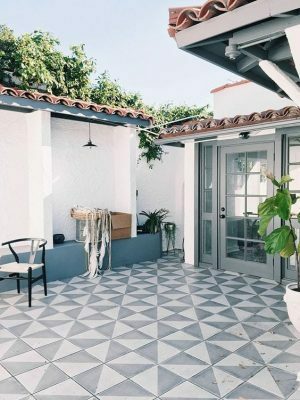 When incorporating tiles in outdoor spaces the design opportunities are endless. Before choosing your outdoor floor tiles and pavers, consider what type of mood you want to create in your yard. 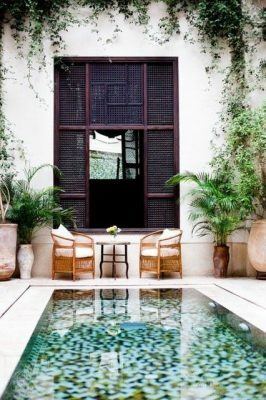 Perhaps you want to create a backyard oasis with lots of plants and neutral stone floor tiles, or perhaps you are looking to chase a modern look with large dark grey pavers contrasting a light blue tiled pool. Incorporating floor tiles and pavers into your outdoor area creates a lasting, stylish landscape for your outdoor are whatever your vision may be. Working with different coloured, large pavers and floor tiles is a crafty way to manipulate space and style. If your outdoor area is cozy large pavers can make the yard look double its size when placed correctly. Alternatively, for very large spaces smaller floor tiles can be used to make areas of the yard look more intimate. Contrast pavers with floor tiles to differentiate different areas of the outdoor space. Around the pool use large pavers to elongate the pool and thus the space around it, while using smaller, textured floor tiles around the patio or decking area. This way different sections of your outdoor entertainment area are defined and manipulated to create the desired look. as green or blue to your otherwise greyscale modern outdoor area try coloured mosaic tiles inside your pool. When designing your outdoor area choose tiles that will compliment your home and the decor that is pre-existing. That way you will cut costs while looking like you spent thousands on coordinating furniture and floor tiles. To create the illusion of a large house and yard use the same pavers or floor tiles to pave your outdoor and indoor space. This way your home has a seamless flow through and your home looks larger than it really is. Not satisfied with just tiling your floors? Take tiles vertical by creating a natural stone feature wall. Behind the pool or next to the outdoor dining furniture, a tile feature wall acts as the finishing touch that will ultimately tie all of your outdoor landscaping efforts together. If you’re overwhelmed with floor tile styles or if you just want some guidance in choosing the right stone, size and finish for your landscaping project take a walk through our Hoppers Crossing showroom or contact us online. Let us help you design your dream Melbourne and Geelong homes. A new definition of Versatility!